Over the years, I’ve realized that it is much easier to think negatively than positively. If you too have a penchant for detecting and dwelling on the negative, it's no cause for alarm. In fact, you are simply a product of intelligent human design whereby bad overpowers good. We humans were designed to be intensely aware of negative circumstances and consequences as it helped our ancestors survive. While this tendency may serve us in situations related to survival, it can cause us stress in our day to day lives. So the question becomes: How do we change this? Making lists of positive aspects of yourself can help make you feel more confident about yourself and the life you lead. Try writing down five of your strengths or things you admire about yourself. Refer to the list often. 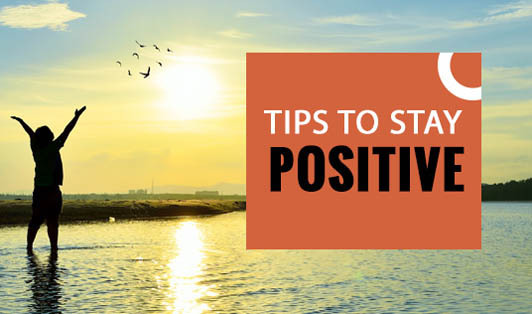 Though it is nearly impossible for a pessimist to become an optimist overnight, practicing positive thinking daily can help you become less critical and gain self-acceptance. Take each thought as it comes, increase awareness & change the way you think.